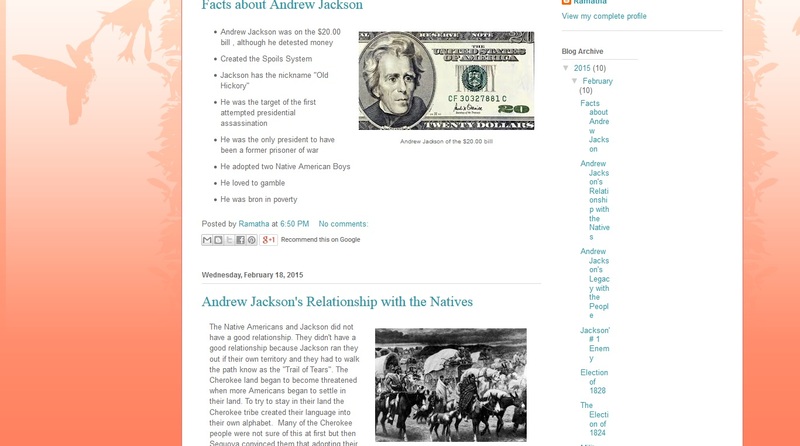 This year I created a new project that required the students to research Andrew Jackson to create a dossier and we wrote blog posts instead of essays! They vary in how much they finished because I had miscalculated the amount of time I could have the chromebooks before testing began. I would love to use the chromebooks more often, but we only have a limited supply. One day I hope to have one for every student, but unfortunately I think that is far off in the future... Because I messed up and the students had to finish their posts by hand I promised them that I would feature some of them on my blog. I hope you all enjoy the work they put into them! I know I enjoyed seeing what they valued and pulled out of the material we researched.